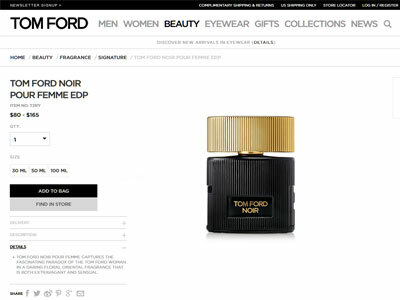 Noir Pour Femme by Tom Ford - The feminine fragrance partner of Tom Ford's Noir for men, launched back in 2012, this new floral oriental perfume is sensual and seductive. The ad campaign features model Lara Stone shot by Inez & Vinoodh. 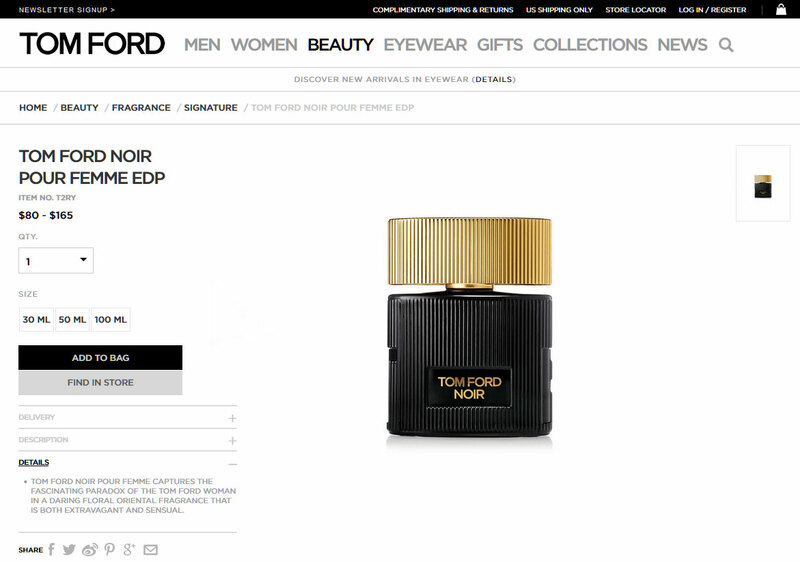 Housed in an Art Deco opaque ridged glass bottle with a rigded gold cap and label, this perfume for women is available in an eau de parfum spray from Sephora and Nordstrom. Package Design Opaque black ridged bottle, ridged gold cap and label. 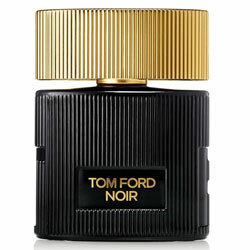 Ladylike is overrated -- This fall, floral fragrances are all about the edge. Sephora - Free Shipping on orders over $50. Plus, 3 free samples with every order!